I’m always taken by surprise when the weather gets super cold in the mornings. I just shiver. I tend to prefer warmer, even hot weather, but cold weather just makes me want to bundle up with multiple layers of thick clothing. I know, sounds really uncomfortable right?! It totally is! Well, Sew House Seven’s Toaster Sweater #1 is right up my alley. 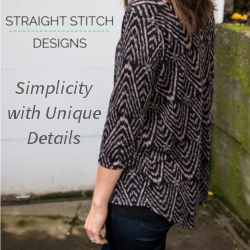 It’s a raglan style with hem bands and a neck tube which means really fast, and I can use those stable knits, French terry’s, and sweater fleeces that I love during the winter. 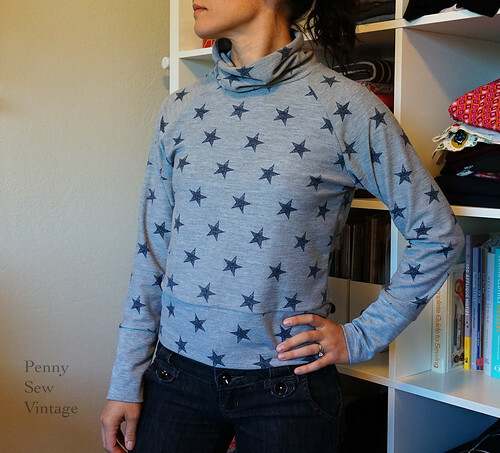 It comes in two styles, so sweater #1 or #2, and I even decided on hacking a slouchy neck tube to make it more fun! My first one is size XS in a sweater fleece that I picked up on clearance at Joann’s last year. I do love sweater fleece, especially when it’s covered in polka dots. The Toaster Sweater came together quickly, no issues at all. I didn’t top stitch every seam because why bother with this one, but it is an option. I only top stitched the bottom band to help it lay flat. 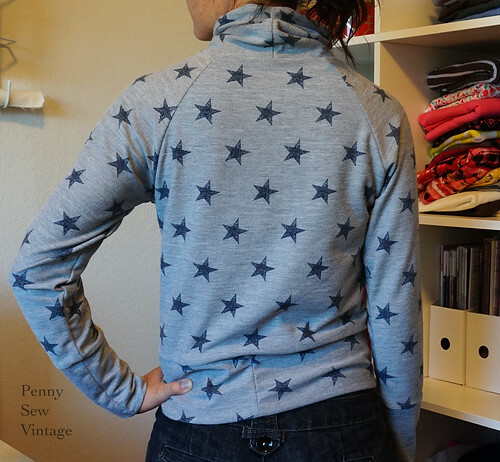 This sweater fleece actually had some bits of pointy plastic coming out of it after washing, so after sewing up this sweater, I donated the remaining yardage. Also, after wearing it I realized it really didn’t let my body breathe at all. I don’t know if their other sweater fleeces are like this (or maybe that’s why it was on clearance), but it felt like I was wearing a plastic bag covered in sweater. Aside from the material, the sweater itself is quite comfortable. I did feel it was a little short, so for this version, I lengthened it by 1/2″. Also, to make the slouchy neck tube, I cut two of the t-neck pattern pieces and sewed them right sides together at one end and inserted into the top the same way as the traditional t-neck. I really like the slouch, and I think it’ll be fun with a thicker fabric too. 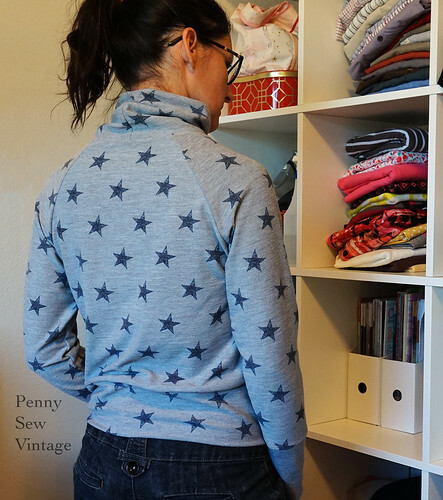 This star fabric is a reversible French terry from Raspberry Creek Fabrics. It has maybe 30% stretch (it’s in the laundry so I can’t test it at the moment!). It does have stretch, but not a lot which makes it great for this pattern which requires at least 20%. It’s also a light to mid weight fabric which makes it easy to layer under a jacket, or wear alone when it’s cool in the fall. The sleeve cuffs are the reverse side of this fabric. It’s a really pretty and soft gray. Oh, and you get a little sneak peak of my new sewing room! I’m sure I’ll do a reveal at some point, just to share what I like about the space and what works for me. Anyway, I want to try the slouchy turtleneck with a thicker fleece or French terry next. I’ve made so many cowl neck tops that I think this winter will be all about the turtleneck! Do you have a style your gravitating towards this season?